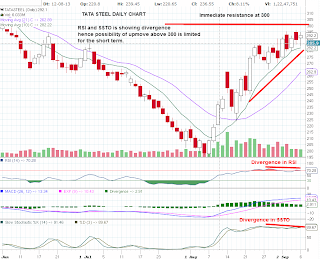 We wrote about Tata Steel on 25 August for Swing trading. The stock made a good up move and achieved the first target on Sep 06th. 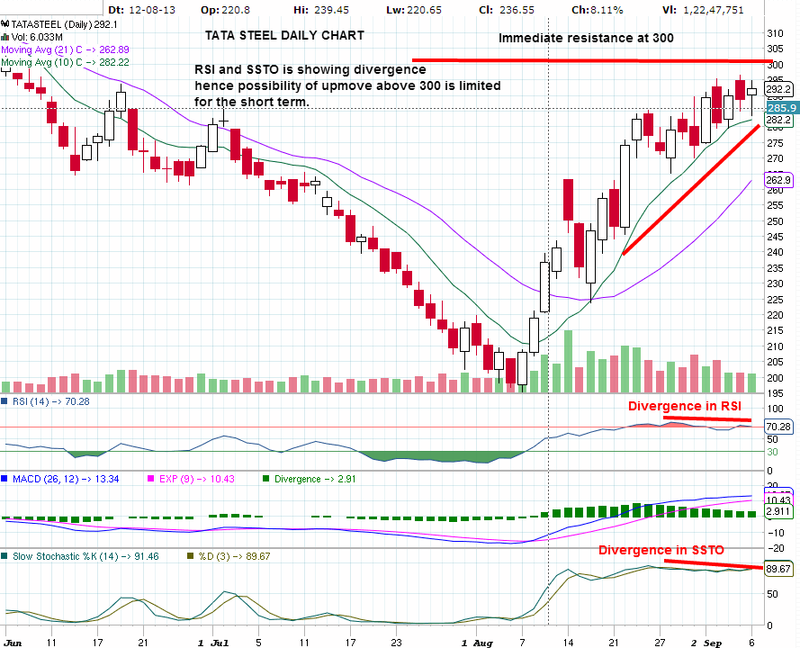 Tata Steel still looks positive to achieve the second target of 300. However , profit booking on overall market weakness is not ruled out. So please be cautious around the level of 300. Crossing 300 and sustaining will lead to the second target of 320.